Drive customer traffic back to your online store! ActiveTrail has everything you need to connect with your audience, promote your products or/and services, boost your sales and grow your business! 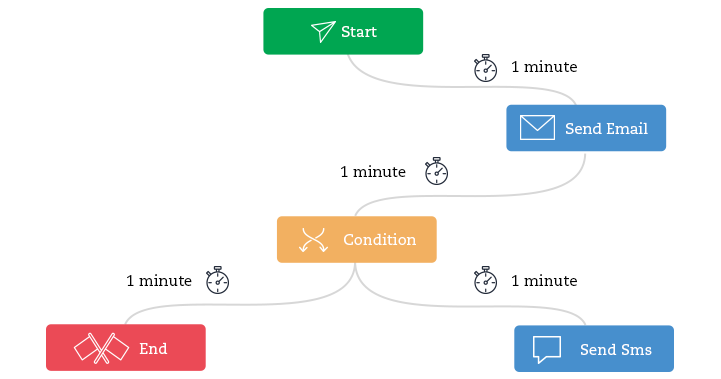 Automation can save you tons of time and provide a major boost to your revenues. 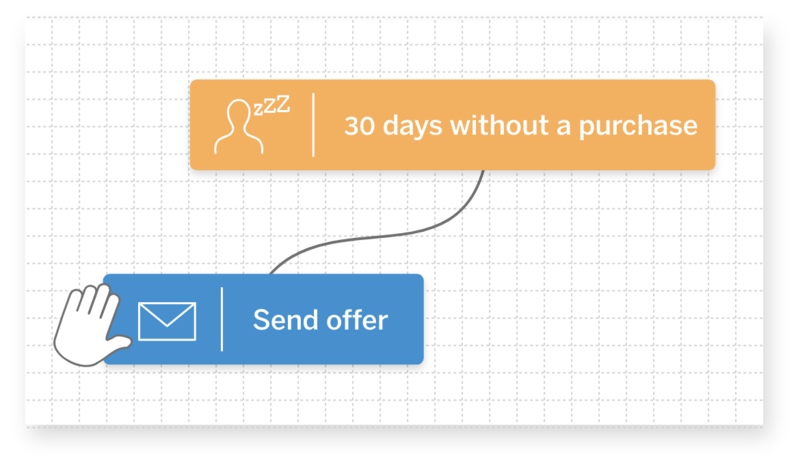 Try ActiveTrail’s marketing automation system to help guide your customers through their purchasing journeys and watch your store orders climb by as much as 16 times! Excitedly, a customer begins a shopping spree on your website, adding product after product to their shopping cart. Abruptly, they leave without completing their purchase! Time to claim some of that lost money with the help of ActiveTrail. Congratulations, the customer journey you built was successful, your newsletters were convincing, and your promotional offers were spot on! 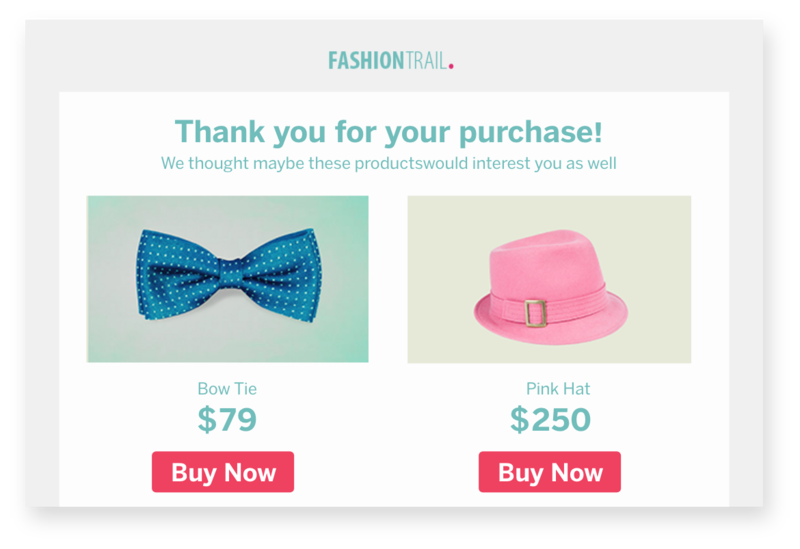 With the aid of ActiveTrail for E-Commerce, you'll be able to send automatic follow-up emails with complementary product suggestions, coupons, promotions and a variety of valuable offers. 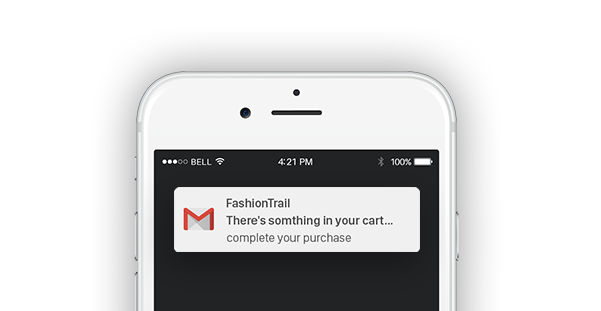 ActiveTrail for E-Commerce’s automation system lets you deliver an automatic email directly to your dormant customers, motivating them to re-examine your valuable offerings and even to make new purchases using coupons, promotions or special sales that you sent them. Greet your new online store visitors with a warm, friendly welcome email. Interest your customers with added value offers that match their needs and desires. Follow up with customers who show interest in a certain category or product. Send your customers customized campaigns on special events. Without doubt, ActiveTrail has set new standards in the field of email marketing. 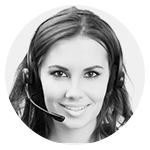 It is the most straight-forward, simplest and most professional email service we have encountered. 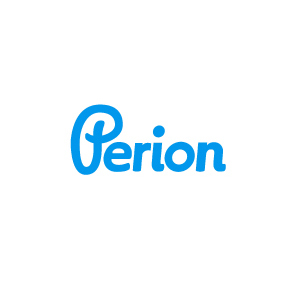 In our ever changing business we look for certain things in an email app: a user friendly management interface; good, detailed reporting, allowing us to learn from and to improve our email campaigns; and an available and helpful support team. ActiveTrail meets these needs and much more! Make Your Ecommerce Emails Shine! 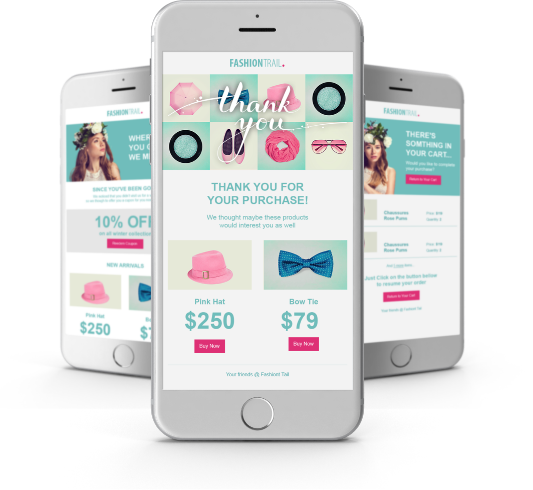 Extend your customers’ shopping experience all the way into their inboxes - choose from a wide-range of professionally designed templates, or design your own, and give your emails the same unique look and feel as your online store. Are you tuned in to the hum of your ecommerce business? Perform A/B testing to determine which designs really move your customers, leading them to open, click, and buy. Glance at charts depicting open, click, and conversion rates, and get a close look at the detailed reports delivered to your inbox. Use valuable data to find out which price points and CTAs generate the most conversions among your customers. will help you with all of the answers you need! Mon - Friday 9:00-18:00 +1 (929) 214-1037, chat and email.